It's a glitzy night again at the T-Box Mobile Arena, Inorbit Mall, in Mumbai. A good compliment of fans, boxers and, of course, celebrities have turned up for action in the World Series of Boxing. While the fans know what's in store for them, the boxers are aware that only performance matters. In all this hype and hoopla, Mumbai Fighters' team owner Udit Sheth, after a meet and greet session with the media, looks a bit pensive. And, as his team goes down 2-3 again to Dynamo Moscow, he knows chewing on his nails won't help. Sheth, the MD and CEO of TransStadia, tries one last time to egg his boxer on by demonstrating a combination of punches, but his voice is lost in the crowd. Coach Joe Clough gives the boxer a last push, so much so that Clough is almost in the ring guiding his charge. Finally, Clough has his hands up in the air and walks away as the boxer trails by a huge margin. 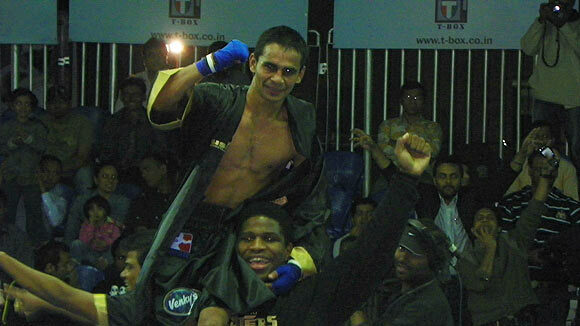 But a dejected Sheth is not prepared to put his hands up yet. He declares he doesn't intend to, saying, "Even cricket took 20 years to win World Cup and we are just two months into World Series Boxing." Though the 2-3 loss to Dynamo Moscow is still at the back of his mind, and hurts, he speaks of his plans for Mumbai Fighters. His face is lit again and the sparkle in his eyes is back as he says, "We would like to go for the best boxers in the fold and we are learning and improving with every bout." The excitement and global format of WSB lured him into the sport; now he is so hooked on it that along with the team he is striving to make performances count. 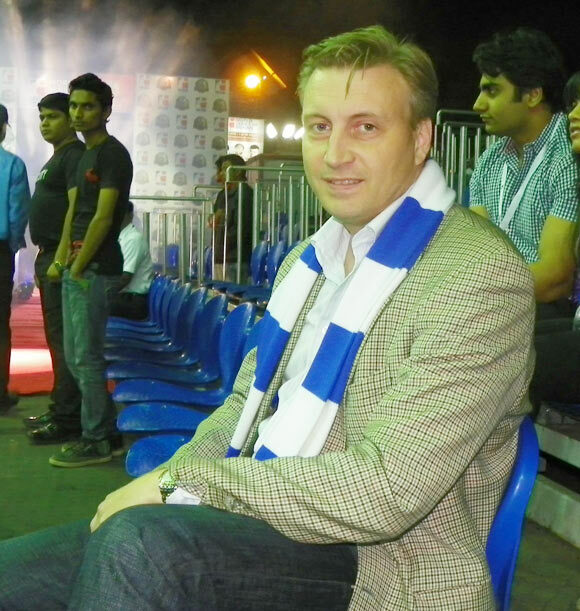 Sheth's ideas are echoed by Dmitry Shelepin, head of International Department, Dynamo Moscow, who adds, "Winning only will help our cause." Both the teams feel their participation in WSB is a long-term investment and they will patiently await its benefits. "Everyone loves a good fight; I have seen, and believe, that when people come here (T-Box) they do not want to leave," says Sheth. His Russian counterpart also doesn't dream too big. 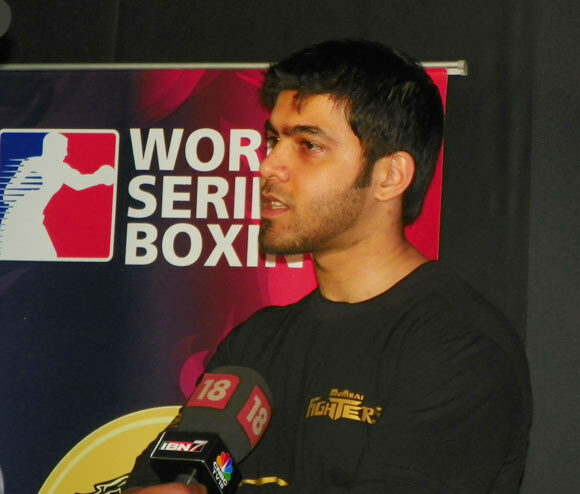 He is modest enough to point out that boxing is not even among the top-five sports in his country. "We are not targeting packed stadiums, like football outings, but, for now, the live television broadcast helps our purpose. We are reaching out to schools, universities and adverting a lot and by next season we are planning to have full-fledge merchandise too." For now, it is the people's response that is keeping Mumbai Fighters going this season. Though they are lying almost at the bottom of the table, Sheth, who is a member of the WSB Commission, points out, "The feedback is fantastic; we have the social media and the print media going on for us. The bouts are aired live on ESPN and that's what keeps us going."